About Eri K. Message Eri K.
Visit 3 or 4 Kyoto Highlights which you should not miss in Kyoto! Eri was a fantastic guide, very knowledgeable and flexible. She gave us great local insight into Kinkakuji and Ryoanji. Thank you so much for spending time with us. We highly recommend her tour, the time we spent was so enjoyable.. even though I've been to Kyoto before she gave me a new love for my two favourite locations. Thanks again Eri, we will be back! Excellent in everyway! Best Guide Ever! Fun, Wisdom filled and she will create a tour just for you! Wonderful Experience! TOUR GUIDE RESPONSE: Pattie-san, thanks for your comments! And I enjoyed these 3 days with you all visiting various places together:) Hope to see you again in the future. Mahalo!! Eri went out of her way to ensure we had a memorable experience. The tour was a highlight of our 2 weeks in Japan. She was also incredibly flexible and allowed us to make several last minute changes in the itinerary to adapt to our interests. Kind, friendly, very knowledgeable and perfectly organized. Can't speak highly enough of Eri or this tour. Highly recommend! TOUR GUIDE RESPONSE: Marc-san, thank you for your wonderful review and comment! Yes, I also enjoyed the lovely time with you. I look forward to seeing you again next time!! Eri is a first class tour guide who is a joy to spend time with! TOUR GUIDE RESPONSE: Richard-san, thank you for your warm message! I also enjoyed the time with you all. Hope to see you again in the future :) ARIGATO!! Eri is a truly wonderful, professional guide. Her warmth, kindness and patience made the two tours I did with Eri very special indeed. She speaks excellent English and provided so much information about each area we visited. I have no hesitation in recommending Eri for a most enjoyable tour. TOUR GUIDE RESPONSE: Judith-san, thank you for your message! Yes, I also enjoyed these 2 days with you all. We visited many places together and walked a lot :) Please take care of yourselves and hope you enjoy the rest of your time in Japan! Eris is excellent and this was our second tour with her. Eri continued to add to our learning of Kyoto and Japan. This tour was focussed on the Gion area and Kiyomuzi Temple. Eri's knowledge of history and explanations of the area and traditions of the geisha were very interesting. The Kiyomizu Temple is great - don't be put off that renovations are happening. TOUR GUIDE RESPONSE: Thank you for the review as well! Look forward to seeing you again in the future. Eri is an excellent guide. Her instruction during the train/tram travel to Arashiyama set us up well for the next few days and her English was excellent. Eri's explanation of the culture and history around the sites was interesting and informative. Her anecdotes and happy personality made for a great morning. TOUR GUIDE RESPONSE: Hi Zeev, thank you for your review and message! Hope to see you again in the future. TOUR GUIDE RESPONSE: Peter-san, thank you for your wonderful review and comment! I also enjoyed the beautiful day with all of you. Since we visited many places on your last day of Japan, please take care of yourself and hope to see you again!! Eri spent two full days in Kyoto with us, and gave us a wonderful set of tours. Before we arrived, she spent a significant amount of time and effort on emails with me and the drafting of an itinerary that met all our varied requests, including getting us lottery ticket to a special garden. She then showed us Kyoto in all its glory. We were impressed that there was no question that stumped her, and we learned an enormous amount about Kyoto and Japan. She was completely terrific and we highly recommend her. TOUR GUIDE RESPONSE: Hi Lisa, thank you for your message and review! I still remember the day with you all, especially the green moss garden and the grave of female novelist :) I also enjoyed the time with you, hope to see you again in the future!! My wife and I were delighted with our choice. Eri is charming and informative. We asked her to plan a tour for first-time visitors to Kyoto, and we were very pleased with her itinerary. We enjoyed our time together, and would book her again without hesitation. Eri's command of English is excellent, and she is very easy to understand. TOUR GUIDE RESPONSE: Dear Bill, thank you for your wonderful message! I also enjoyed the day with you :) Please take care of yourself after the long trip and hope to see you again!! Eri is a great guide, very informative, and nice. This Nara tour has been a memorable one because of her. Thank you Eri! TOUR GUIDE RESPONSE: Susanne, thank you for your wonderful review for my tour! I also enjoyed the time with you all in the beautiful weather. Hope to see you again in the future and enjoy your rest of your time in Japan!! Eri is an excellent guide- her tour was very informative and she gave us a good insight into the history and culture of Kyoto. She was charming and her English is excellent! She gave a very good recommendation about where to eat a fabulous dinner. We definitely recommend Eri! TOUR GUIDE RESPONSE: Dear Pippa-san, thank you so much for your wonderful comment! Yes, I also enjoyed the lovely time with you and I'm glad to know that you enjoyed dinner too :) Hope to see you again and enjoy the rest of your time in Japan! Eri is amazing and truly an outstanding tour guide. I had a fantastic day in Kyoto with Eri and I couldn't have done it without her. Eri was very friendly, knowledgeable, and accommodating. She spoke fluent English and really made my trip in Kyoto. Without Eri and this tour, I would have been lost, confused, and unable to communicate with the locals. Thanks again Eri. TOUR GUIDE RESPONSE: Hi Richard, thank you for your wonderful review! I also enjoyed the lovely day with you all. We were so lucky to see beautiful autumn leaves :) I hope you'll enjoy the rest of the trip in the world! Eri was very skilful in the manner she got to know us and engage with us. We had to change what had been planned due to time constraints. She very quickly adapted to our requirements and designed an afternoon that was unforgettable. She is polite and understated but knowledgeable about he places she took us to. We recommend her highly. Fortunately she will be guiding us a gain in a few days time. TOUR GUIDE RESPONSE: Hi Robin and Lynett, Thank you for your wonderful review! and I also enjoyed these 2 days with you in Kyoto and Nara. I hope you will enjoy the rest of the days in Japan with sunshine!! Eri made my trip to Kyoto truly special. I had been travelling alone through Japan which is fine for sightseeing, but spending the day with Eri taught me so much about the culture. She was endlessly patient with my questions about Japan and Kyoto; knowledgeable about local design, religion, art and traditions; kind and warm and very easy to get along with. I'll be returning to Japan soon, and will not hesitate in booking another tour with Eri! TOUR GUIDE RESPONSE: Hi Samantha, thank you so much for your wonderful review and message! Yes, we did a lot of things together in one day and I also enjoyed the day with you! Hope to see you again in the future!! Eri is a very experienced tour guide. She is very knowledgeable about the various sites of Kyoto. I greatly appreciated her background introduction about the places we visited and her explanation about the Japanese and Kyoto culture related to these places. She gave me much better appreciation of what I saw and experienced. I highly recommend her guide service! Eri was a wonderful guide. She was knowledgable and provided useful and relevant information. She was also perceptive and adjusted the tour to accommodate our needs throughout the day. Thank You! TOUR GUIDE RESPONSE: Rahi-san, than you for your wonderful review! I enjoyed these 2 days with your family too. Also thank you for your help in Japanese :) I hope to see you again!! We thought Eri was superb and highly recommend her! We spent two days in Kyoto and arranged tours with Eri both mornings. She has a thorough knowledge of Kyoto and was responsive to the things we wanted to see. She was able to make a last-minute substitution of a rock garden that we wanted to see and kept us on schedule. Eri has a great sense of timing and kept us moving without being rushed. She was easy to talk to and gave us vivid insight into the history and people of the places we saw. TOUR GUIDE RESPONSE: Dear Liz, thank you for your wonderful review. I'm glad to know that you could visit Silver Pavilion,too! It's a great pleasure to meet you all in Kyoto and hope to see you again in the future!! Eri was a great tour guide. She was extremely knowledgeable about the sites in Nara and very easy going. She provided a lot of background info that we would not have known if we were on our own. Don't miss the sacred deer and bamboo forest. TOUR GUIDE RESPONSE: Hi Shelley-san! Thank you for your wonderful review. I also enjoyed the day with you and I'm so glad to know that you learn Japanese and manga culture! Your origami crane is the special gift for me. Hope to see you again in the future! This is my second tour with Eri and once again everything was as I wished it to be. Eri knows how to give just the right amount of information that helps you understand what you are seeing but still gives you time to enjoy the site. I travel all over the world and use private guides for my first experience in each place. Eri made my first visit to Kyoto fun and educational. She is a considerate and knowledgeable guide. I plan to send 40 college students next summer and hope Eri is able to guide them. TOUR GUIDE RESPONSE: Dear Jeff, Thank you for your wonderful review again :) Yes! I'm looking forward to seeing you and your students next summer!! Eri immediately understood my goals for the day and we accomplished them. She was on time, competent and helpful, always considerate of me. After I described my goals for the day by email in advance, she accomplished all of those goals. I recommend her highly and without Réservation. TOUR GUIDE RESPONSE: Dear Jeff, Thank you for your wonderful review! It was my pleasure to meet you. I hope you will enjoy the rest of your time in Japan and see you again next year!! We are a group of 4 seniors who took the Nara tour with Eri. She did an outstanding job on that tour and provided us with valuable information for the remainder of our stay in Japan. Eri is very knowledgeable, completely fluent in English, and interested in providing her customers with the best possible experience. TOUR GUIDE RESPONSE: Hi Robert, thank you for your wonderful review! I hope you enjoyed your stay throughout Japan. Please take care of yourself after the long trip. Hope to see you again! Eri is an absolute delight. 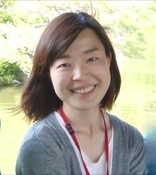 Not only does she have an amazing knowledge of Kyoto, but she also has a casual charm and sense of fun which made our tours with her amongst the most enjoyable and memorable of our trip to Japan. She is well prepared, flexible and clearly loves what she does. Her English is exceptional and she also helped us with bookings and advice for other activities. We were very privileged to have Eri as our guide and we would definitely recommend her to anyone looking for the very best. TOUR GUIDE RESPONSE: Bill, Teresa and Adrian, Thank you for these two days! And thank you so much for your wonderful review. I also enjoyed the time with you in the fresh green season! I look forward to seeing you again in your country next time :) ARIGATO! Eri provided an individualized tour of gardens of various styles and showed me five gardens. She enhanced my understanding of the structure and philosophy behind the gardens. We saw gardens away from crowded tourist sites. It was precisely what I was hoping for. Eri is a wonderful guide. She is knowledgeable, interested in making sure her clients are shown the most varieties of Kyoto given the time available, and fun to be with. She is also a beautiful photographer who has an eye for her subject as she sent us photos she had taken of us on our tour, one of which was so good we are framing it. As with our other guides, she took the tour we planned and added her own interpretation to it by showing us things we would not have considered otherwise. Highly recommend. TOUR GUIDE RESPONSE: Hi Limor-san, Thank you for your wonderful message and review! We did a lot of things in a day and I also enjoyed the lovely time with you all. And I decided to buy iphone7,haha. Hope to see you again! OKINI!! 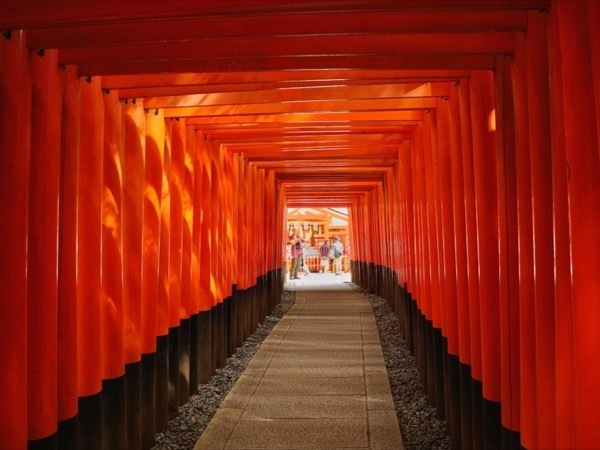 Eri provided a most rewarding one day introduction to Kyoto. She was professional, charming and informative. As newcomers we received information and a feeling of friendship. TOUR GUIDE RESPONSE: Hi Richard and Margaret, thank you so much for your wonderful review! It was my pleasure in meeting you and I also enjoyed the lovely day with you! I hope you'll enjoy skiing in Hokkaido!! Eri was a perfect tour guide, we were so happy that we had a whole day with her! We booked the 8 hour tour, and let her know that it was going to be our second day in Japan and wanted to see and learn as much as possible. The shrines and temples we visited were breathtaking, and Eri was extremely knowledgable about the sites and history. It ended up being one of our favorite days of our trip. TOUR GUIDE RESPONSE: Hi Angela and Andrew! Thank you so much for your wonderful review. I hope you could enjoy many sites in Kyoto and other areas in Japan,too :) Look forward to seeing you again!! TOUR GUIDE RESPONSE: Hi Valerie,thank you so much for your wonderful message and review! Thanks to you,the deity of sunshine :), I also enjoyed the magical view dressed with snow!! Wish you be always filled with happiness. Eri was a fantastic guide! We loved every minute of our tour with Eri and she went out of her way to make the tour special for us. Eri knows Kyoto very well and left us with a lot of information and fond memories of Kyoto and Japan. TOUR GUIDE RESPONSE: Hi Toni, thank you for your wonderful review!! I also enjoyed the time with you and Anthony. Pineapple-TimTam was so nice!! Eri is very knowledgeable and helpful in showing my family and myself around the Kyoto key attractions. She is also very resourceful to provide additional information on other cities of Japan (example Osaka). She had planned well in terms of the half day tour and was punctual in meeting up us on the day of the tour. Eri is a wonderful guide. I couldn't have asked for more. She was amazingly thoughtful, adding some key elements to the custom tour I had requested and making some superb suggestions. She also has rich knowledge of Kyoto, it's history and it's people. She also went the extra mile, helping me find some unusual souvenirs I had asked for, and also helping me with a train ticket issue that could have been a real problem if it wasn't for her. I would recommend her to anyone. A+, excellent! TOUR GUIDE RESPONSE: ARIGATO! Adam, Thank you for your wonderful review. I also enjoyed the beautiful day with you visiting many sites! I look forward to meeting you in the future! !